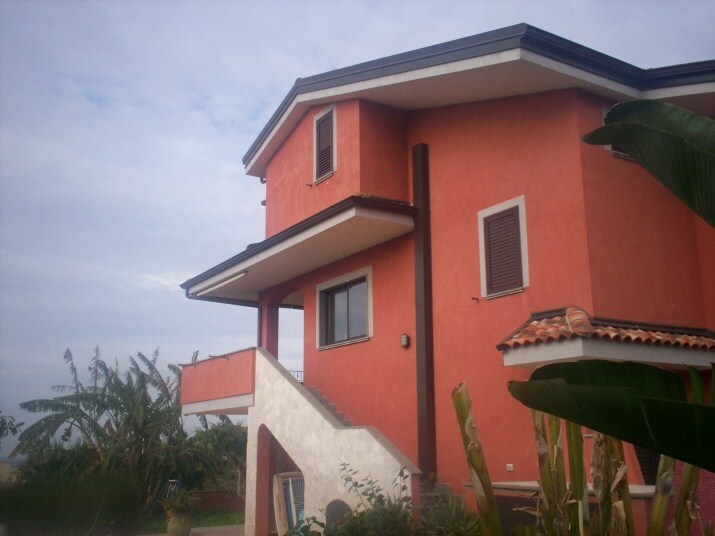 Beautiful apartment with garden in Capo Vaticano in a residential area. Excellent build quality and fully furnished. First floor consists of a veranda of 25 sqm with wonderful views of the Aeolian islands, two double bedrooms, bathroom, kitchen, living room and dining room, the attic bedroom, second bedroom with bathroom and large balcony with stunning sea views. Entering the garden in common with 2 cars parking. Air conditioning, satellite TV. Only 1 km from the beautiful beaches of Capo Vaticano, within 300 mt bank, markets, restaurants, bars and pizzerias, Tropea and only 6 km of San Nicol? Ricadi to 800 meters. For sale fully an very well furnished.